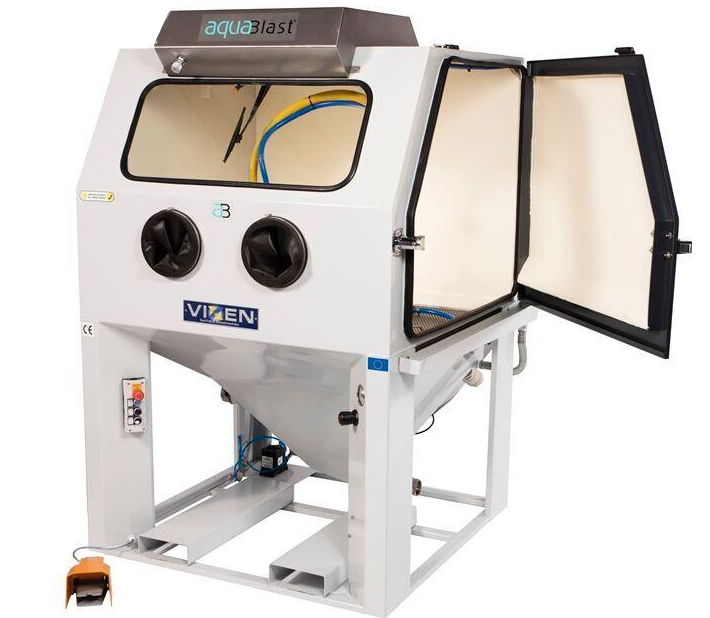 The water blasting revolution is here! This is the Aquablast 1215. It's the largest blaster I could fit in my shop without loosing too much space. 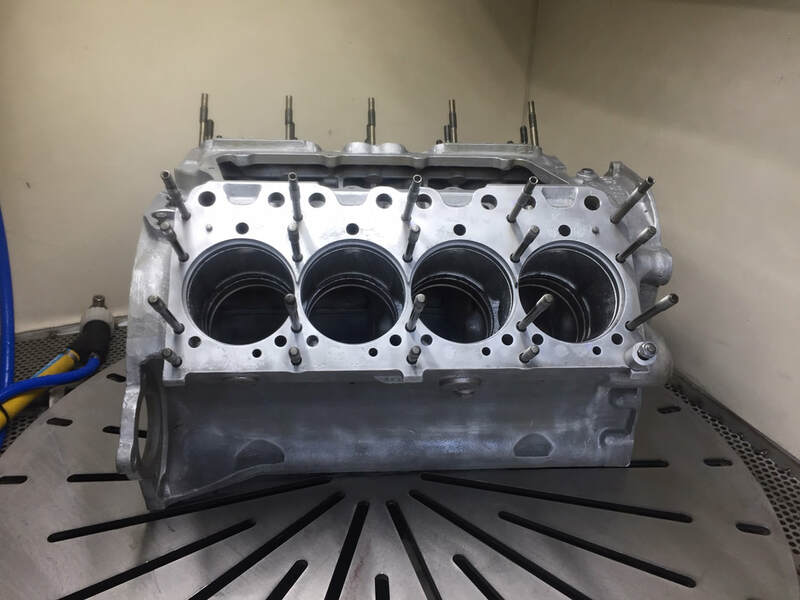 As you can see, I can fit a large V8 block in the cabinet with room to spare. When I began rebuilding motorcycle and go-cart engines as a preteen, I quickly figured out it was a lot easier to work on a clean engine. Soap and water only did so much, so I quickly moved to gasoline and a wire brush. Not exactly a safe combination, but it did cut grease, dirt and oil. As the years passed, I wanted to achieve a factory new look on the engines I built. I started with sand blasting in my side yard and then built a cabinet blaster out of a 50- gallon steel drum. It worked pretty darned good for a homemade blast cabinet (built by 20-year-old goofball), but soon I was dealing with invasive dust created by blast media, blowing throughout my shop. I rigged up a vacuum system, but I still had to stop every few minutes to clear out the filters or I wouldn’t be able to see inside the cabinet. Also the sand and micro-beads always seemed to find their way into internal engine parts – not good. 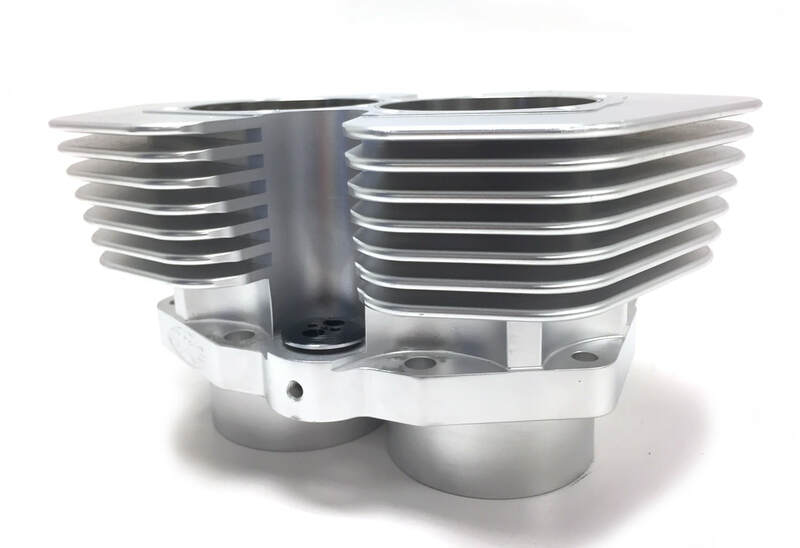 This is the new MAP big bore cylinder. After the CNC process, it is Nikasil plated which leaves the finish powdery and dull. After I run them through my blaster, the cylinders have a beautiful luster that almost looks polished. I finally decided that no matter how much I rinsed, it was not safe for internal engine parts to ever be blasted. That’s because the force of the blasted media could sometimes embed grains of glass bead and sand into the aluminum castings. 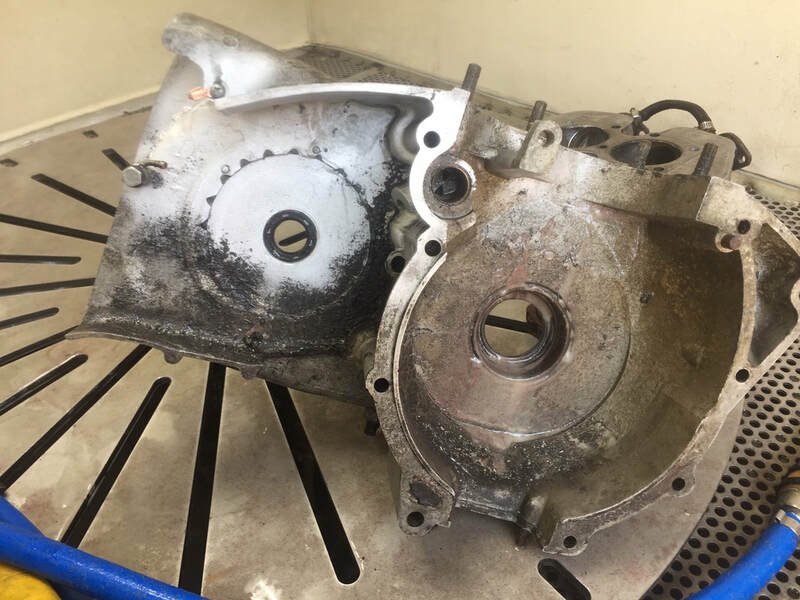 After rinsing, these tiny but destructive particles could release and find their way into the cylinders, valve train and crankcase – potentially catastrophic when rebuilding an engine. After all, it doesn’t matter how great an engine looks if it going to fail a few months after a rebuild. I spent years researching this dilemma – how to safely make engine components look new without damage or the potential of damage to the engine. For small parts, ultrasonic tanks did a good job of cleaning, but did not take the aluminum surface back to a factory look. Soda blasting did a nice job on the surface, but it didn’t clean corrosion well and it was really messy. Another downside was the media could only be used effectively one time. Not an economically or environmentally sound approach. Then I heard about water blasting parts. This is not a new process, but not something that had been embraced in the US. Several years ago I purchased a CB450 cylinder head off eBay. I could tell by valve and seat wear the head had been used, but the components looked absolutely factory new. I called the seller to ask how it was done and they told me they used a water blasting cabinet. I was immediately sold on the process and determined to either build one or buy one. I recently found a perfect, almost unused blast cabinet on eBay. What made the deal sweeter was I was able to by the best blast cabinet made, the Vixen. Needless to say I’m delighted with the purchase. Of course to keep this wonderful tool all to myself would be a bit selfish. 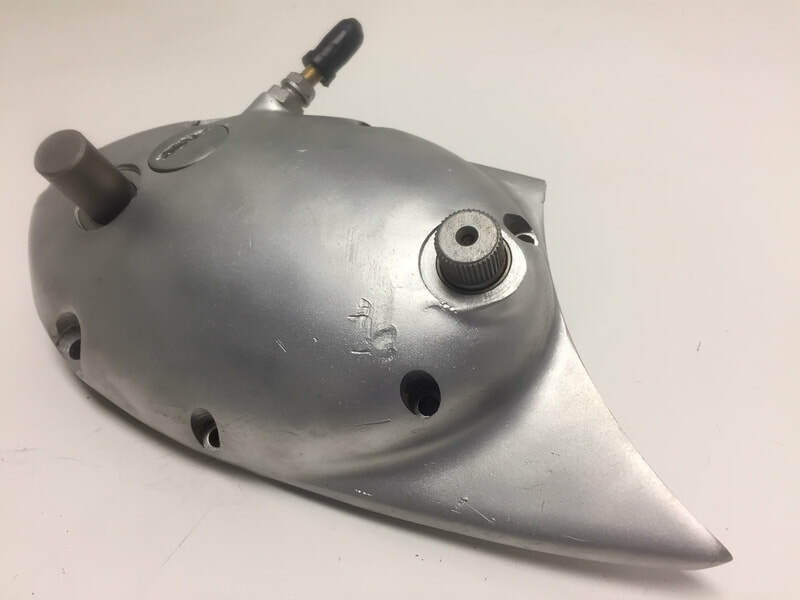 So I'm offering reasonably-priced water blasting services to folks like me who love to rebuild and restore old motorcycles, cars, bicycles, steam engines, boat motors, airplanes or anything metal that you want to look like new. 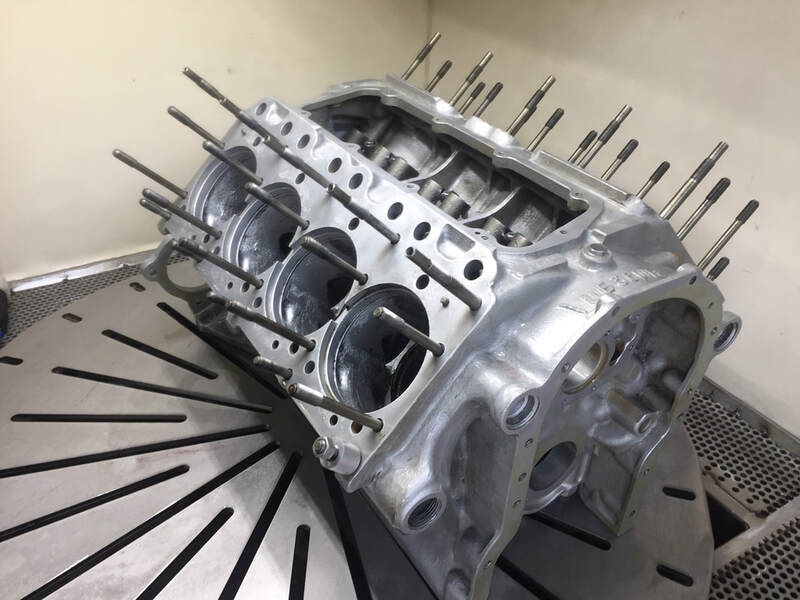 You can see by looking at the top left side of this engine case, that just a few seconds of concentration with the spray nozzle removes years of greasy grime. There is no better way to clean parts for vintage motorcycles, automobiles, boats or airplanes. Why? Because, depending on the media used, water blasting doesn't alter the original appearance or texture of the base metal. Yet, it leaves even the softest alloys with a very factory original-looking finish. On smooth aluminum surfaces, it will leave a soft sheen with a very nice luster. Aluminum surfaces don't look artificially polished, but they look new again. This is completely different from a dry blast cabinet, which leaves a powdery, pebbly- looking finish. I've owned high-end bast cabinets for years. I've experimented with all types of media, from sand to glass beads, garnet to walnut shells and even soda, but until I used a water-blast cabinet, I never had results I could be completely satisfied with. Sure, with a dry blasting you can get a clean, even finish. But dry blasting always alters the original finish of aluminum and other soft alloys, creating a dull, and in my opinion, ugly finish. 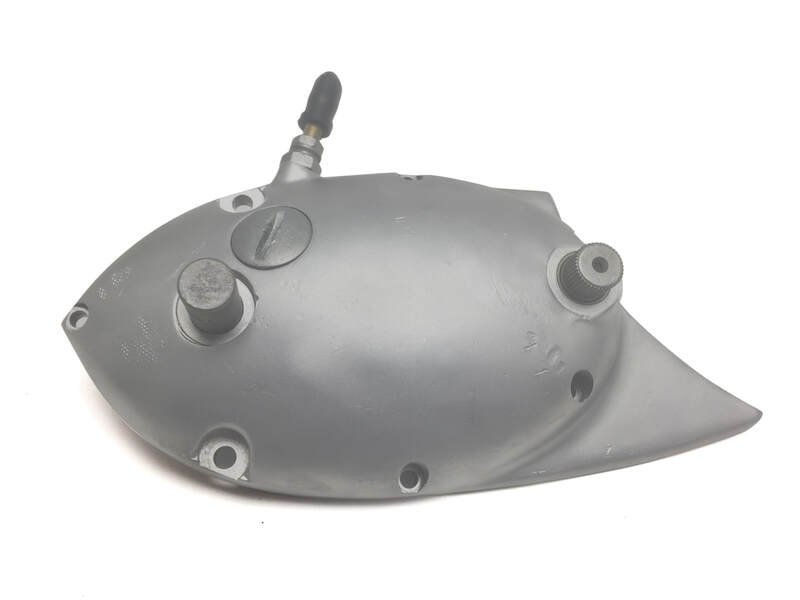 Even if the part is to be polished, dry blasting leaves the surface altered from the original factory part. I now use my dry blast cabinet solely for prepping steel parts that will be primed and painted. That's because steel is harder and isn't as susceptible to surface changes from blasting. And if the surface was changed, the primer and paint would fill the altered surface anyway. 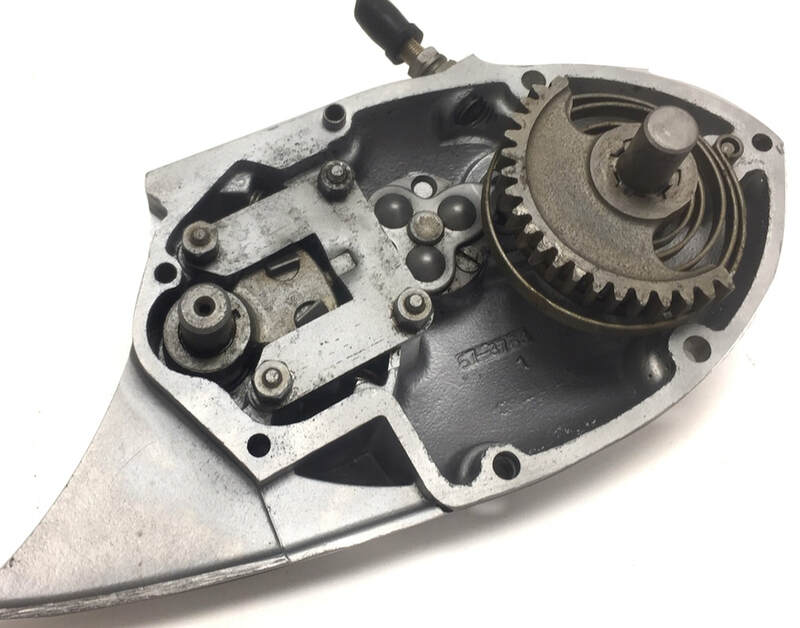 When I've blasted parts for restoration experts, they've commented the parts have a "fresh-out-of-mold look" or that they look "showroom new." 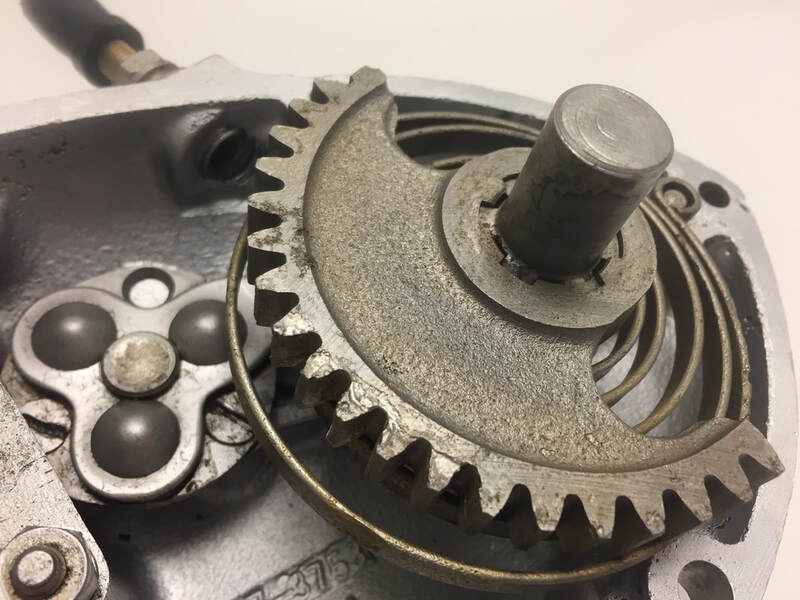 Although I clean a lot of steel parts, the blaster really shines with aluminum parts, particularly cases, cylinder heads and other engine parts as well as wheel hubs on vintage motorcycles. I like to use the smallest (finest) grade of glass bead available. When used in a high-pressure slurry with water, these fine glass beads bounce off the aluminum and don't impinge or embed themselves on the aluminum. Even when blasting soft copper or brass, the surface remains damage free. But, it can easily remove years of corrosion, dirt, grease, oils which allowing the original sheen of the metal to once again be revealed. Will every part look perfect after blasting? The simple answer is no. 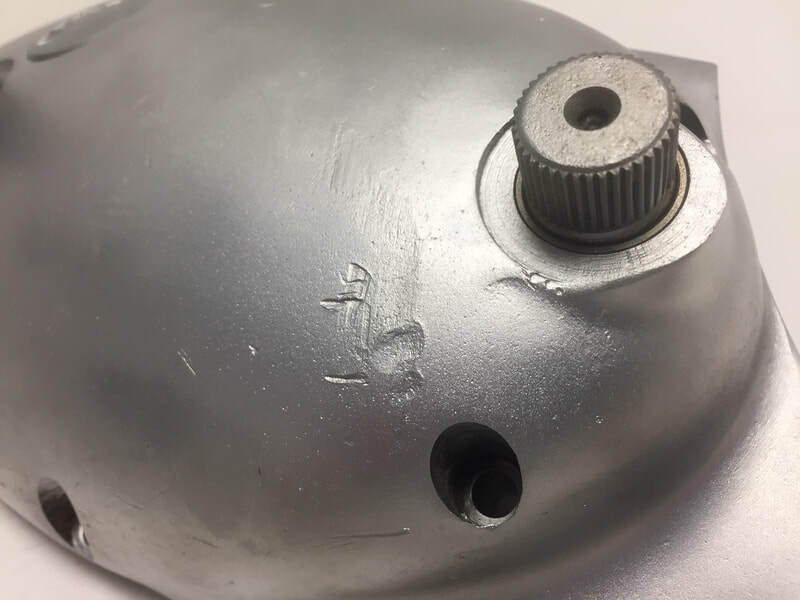 Blasting can't heal scratches, dents, dings or gouges, but it will show you exactly what needs to be repaired by showing off issues with a part. Take for instance, this side case off an old Triumph (seen below). I found this buried in an old motorcycle shop. It was pulled off a wrecked bike some 45 years ago. I wanted to see what I would need to replace so I ran through it in the blaster. 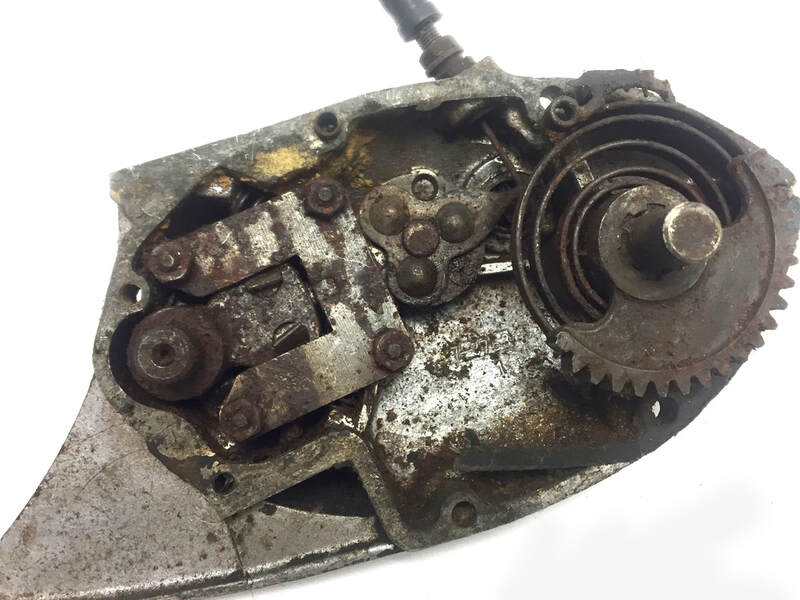 After a few minutes, the blaster revealed a scratched but salvageable case and some good internal parts, but easily identified a damaged gear and corroded spring. 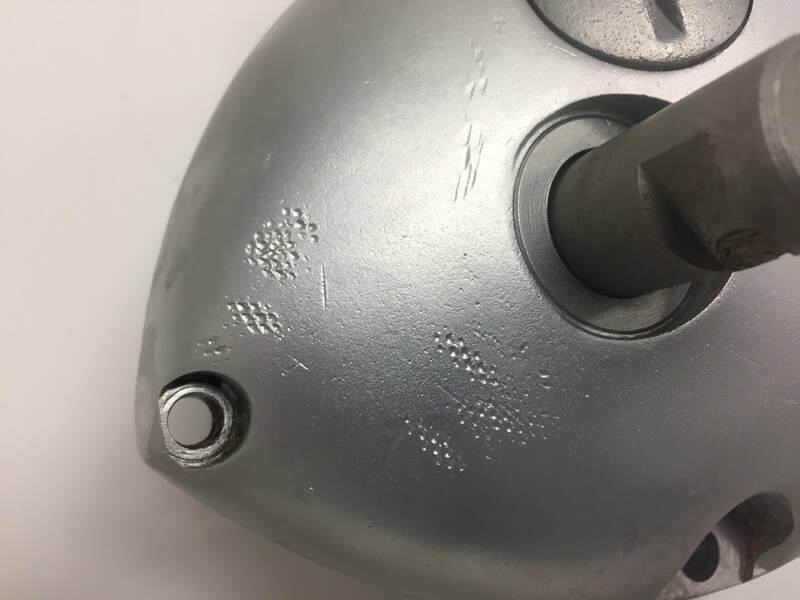 Even though the parts were damaged, the metal surface of the old parts looked like new, which made the defects really stand out. After blasting, we could easily discern what parts were salvageable (see close up photos below). After cleaning the imperfections are obvious. There are lots of dents and scratches. This case can be salvaged, but it will take some work. Water blasting is great for pre-polish preparation. It really saves time. Sometimes its better to know what you are up against BEFORE you start a repair. This is where water blasting really shines. With this system, every hint of dirt or corrosion can be removed, leaving bare metal. The photos on the right show dents, scratches and hammer marks (no doubt applied by a ham-handed, shade tree mechanic) that weren't easily visible in the photos above. Blasting also revealed wear on the gear and deep corrosion on the spring - none of that apparent before blasting. Sure, a good cleaning in a parts cleaner would have revealed much of this, but not to the same level. And if you're planning polishing the part (like I am), water blasting shows me every blemish I'll need to address. You just to get that with a simple cleaning. 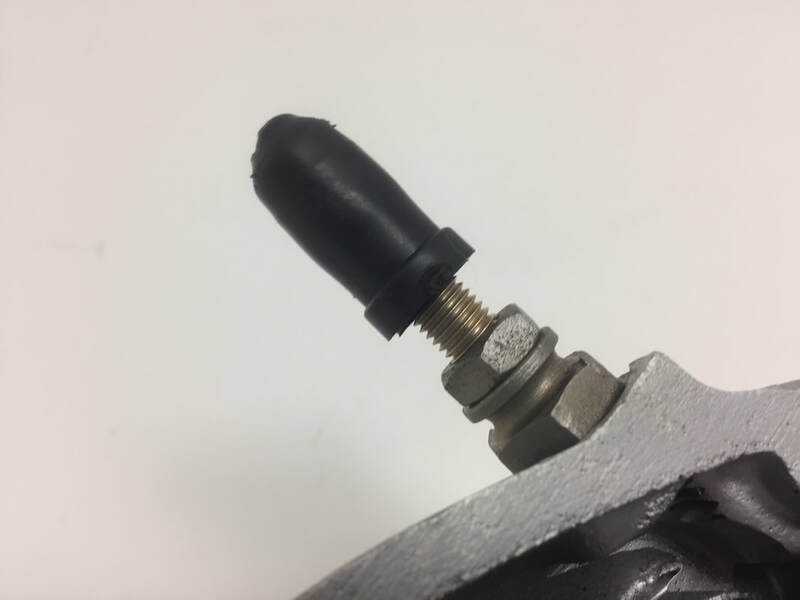 A close look at the cable adjuster show how the blaster cleans softer metals without damage. It's worth noting that some flash rust can be seen on the gear. This was before we began using a special chemical in the slurry to eliminate flash rusting. 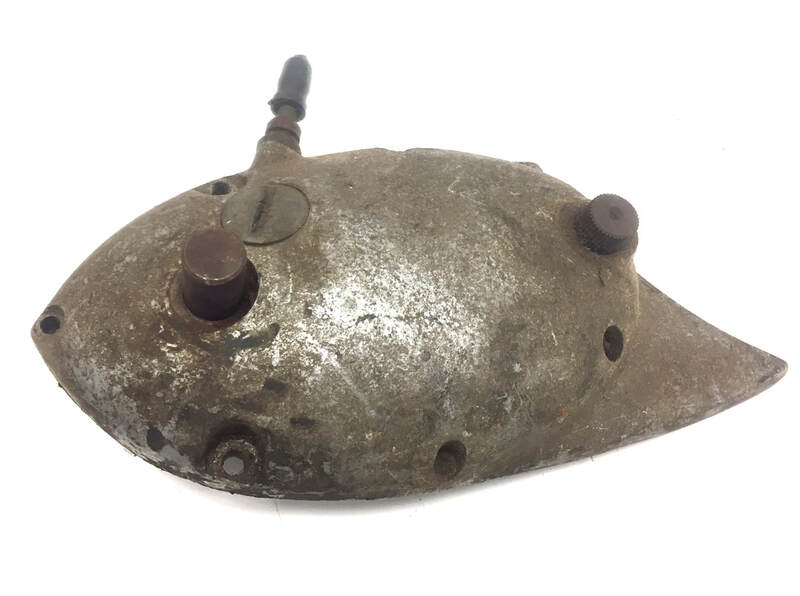 Similar to the kickstart cover above, this head came off a parts bike and sat in our shelves for close to 25 years. I decided to blast half of the head to help illustrate the benefits of water blasting. 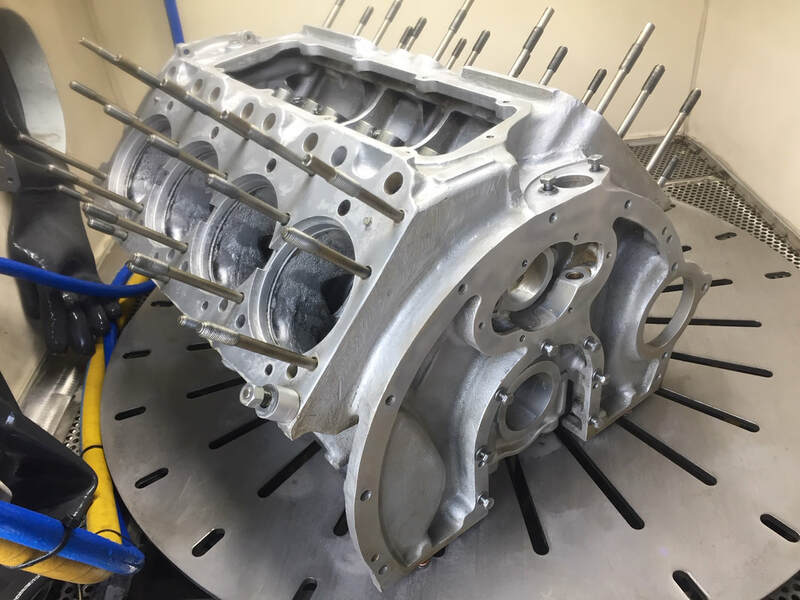 Unlike dry blasting, water blasting is safe for engine parts. That's because west blasting cushions the media in a slurry of water. Beads don't become embedded in the surface like they do with dry blasting. So, after a couple of good rises and forced air drying (at 120 psi), it's rare to find leftover beads.